One of the aspects that makes the U.S. Open special is that anyone with a 1.4 index or lower has the opportunity to qualify for America’s National Championship. This year’s field boasts 20 amateur golfers who span a range of ages and backgrounds. They include college players with futures in professional golf and a handful of average joes who will return to their day jobs next week as financial analysts, fire fighters or NHL referees. Here is a quick profile of all the amateurs in the field this week in New York. MattParziale is a thirty-one-year-old firefighter who turned professional after college but couldn't keep up with the mini-tour lifestyle. He qualified for the U.S. Open by winning the 2017 U.S. Mid-Amateur. Parziale made 10 birdies in 30 holes to beat Josh Nichols 8-and-6 in the finals. The night of his victory, he flew home arriving at 2 AM, only to wake up at 7 AM for another firehouse shift. Ellis is from Southampton England but attends FSU in Tallahassee. 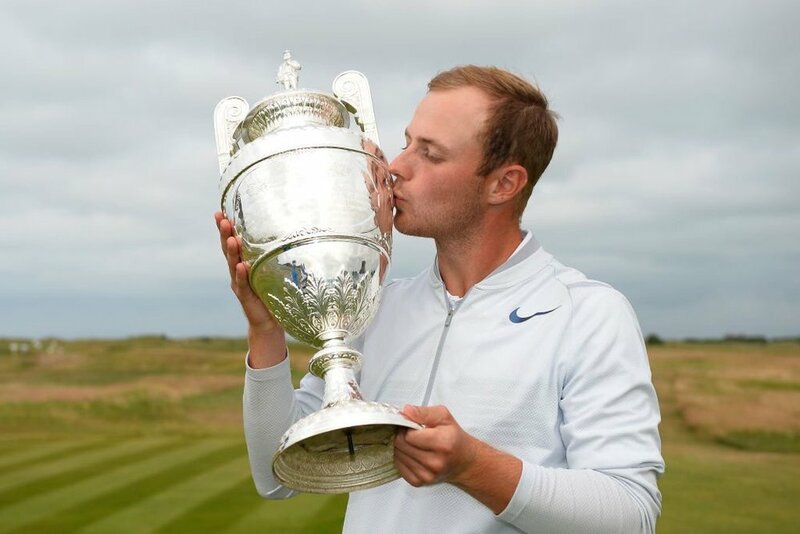 In 2012, he won the English Amateur Championship at age 16, breaking Sir Nick Faldo's record to become the youngest ever to win. At FSU, Ellis studies Sports Management but plans to turn professional after the Open. According to his college bio, he is currently watching Billions, Ballers and Deadliest Catch on TV. I respect the throwback to Deadliest Catch… he might be the only person still watching that show. Ghim had an excellent college career at University of Texas, including winning the 2018 Ben Hogan Award, which is awarded to the best college golf player in the United States. He has a long history of heartbreak in USGA events, finishing runner-up at the 2017 U.S. Am at Riviera and reached the semi-finals of the 2013 U.S. Junior at Martis Camp. But he has also had some great successes, including being low amateur at the last Masters. Many might remember the excitement his father showed as his caddy at Riviera, and we can look forward to that again as his father will caddy for him at the U.S. Open. 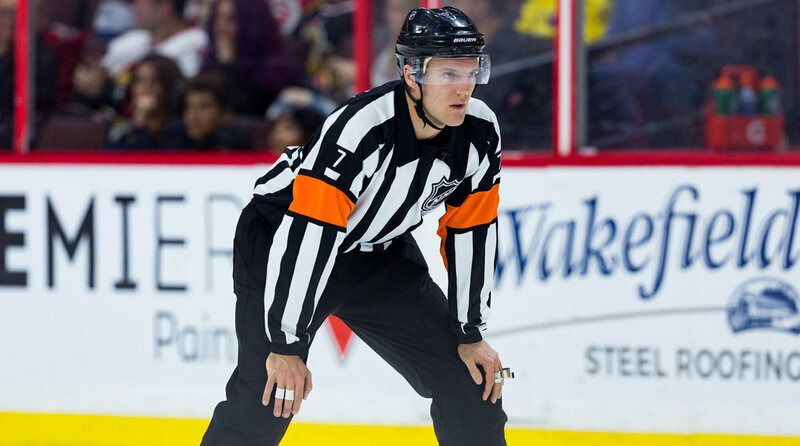 Canadian Garrett Rank is another one of the best feel-good stories this year with his day job as an NHL referee. His bio reads like a Little League World Series answer, "Other interests include working as a hockey referee, hanging out with friends, working out, and relaxing at his cottage.” Rank made it to the round of 16 in the Four-Ball tournament at Jupiter Hills before being defeated by Kyle Cornett and Patrick Sato. Bergeron is a twenty-year-old rising sophomore at Louisiana State University. It’s an odd feeling for me to have a competitor younger than me. I'm nervous in the media center, so I can't imagine playing. In the tournaments he played at LSU, Bergeron had the lowest scoring average on the team at 71.29 over 14 rounds. He tied for first at the David Toms Intercollegiate tournament in October. Reitan is also twenty. He’s from Norway, going through the Walton Heath qualifier in England. He decided not to go to college in the U.S. because he didn't want four years of being an Amateur, unlike his friend and fellow Norwegian Viktor Hovland, who just won the NCAA Championship at Oklahoma State. Later this year, Reitan will try his luck at European Q School. Reitan is the first Norwegian ever in the U.S. Open. Gagne is another LSU student in the field this week, qualifying through the Bears Club in Jupiter Florida. 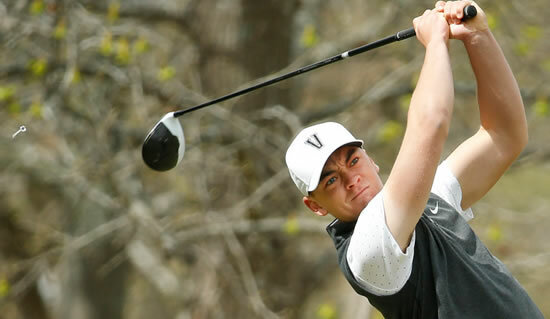 He came in second in the voting for the Jack Nicklaus National Player of the Year Award and was named a member of the PING Southeast All-Region team, with one win on the season. Gagne made it through local qualifying on a coin flip against his friend Christian DiMarco, son of PGA Tour player Chris DiMarco. One of Gagne’s goals for the week is to beat all the other LSU Tigers in the field. Strafaci is 19, which is absolutely ridiculous, and currently attends Georgia Tech. Strafaci made the all ACC team in 2017 and was named to the GCAA All-East Region team in 2018. He had two top-10 finishes, but he spends his free time fishing in his hometown of Fort Lauderdale. Strafaci comes from a great golfing legacy. His grandfather, Frank Strafaci Sr., won the 1935 U.S. Amateur Public Links and played in two U.S. Opens, including a 9th-place finish at Oakland Hills in 1937, two Masters and many others. Yu is also 19 and attends Arizona State University. He has a long flight from his hometown of Taiwan to Arizona, but it seems to be worth it as he had the second-lowest stroke average as a freshman in school history behind only Jon Rahm. He has two career victories, including one in 2018 at Bandon Dunes. If you are rooting for An-Yu on television and yelling at your U.S. Open party, keep in mind that he likes to be referred to as "Kevin." Ban recently graduated from the University of Nevada-Las Vegas, where he played for the golf team all four years. He was a finalist for both the Jack Nicklaus National Player of the Year Award and semi-finalist for the Ben Hogan award for best college golf player his senior season, with four individual titles. He will be a member of the 2018 Palmer Cup team and plans to turn professional later this year. Humphrey recently graduated from Vanderbilt University with a degree in economics. He had four very successful years in Nashville, from making it onto the All-SEC second team his freshman year to SEC Player of the Year his senior season. As a senior, Humphrey had a 69.97 stroke average, the second-lowest in school history. Humphrey was also named SEC scholar-athlete of the year for his combined performance in the classroom and on the course. Ok, I keep going down the list and being blown away every time I hear a younger age. Goodwin is 17! Please let him be the youngest in the field. At age 9, Goodwin was diagnosed with pituitary dwarfism, a growth hormone deficiency, but that hasn't slowed him down. Along with being a member of the SMU golf team, Goodwin is also a first-degree black belt in taekwondo. Thornberry attends the University of Mississippi and has an impressive resume, including an NCAA Arnold Palmer Individual National Championship. Thornberry has also already had some success in PGA Tour events, with a 4th place finish at the FedEx St. Jude Classic. Thornberry is the number 2 amatuer in the world and Golfweek.com named him the number one college golfer in the country. Thornberry will be in one of the better threesomes alongside Brandt Snedeker and Jason Dufner on Thursday and Friday. Lumsden is a native of London, England but currently attends Northwestern University in Chicago. In the 2017 season, he was first-team All-Big 10, and he had the 8th best stroke average in program history. He has also finished in the top 10 the last two Big 10 Championships. Lumsden has had a busy last few weeks, finishing his college exams early so he could come play. Lumsden shot 138 at Brookside Golf & Country Club in Columbus, Ohio to earn a spot in the US Open. Another fan favorite, Hagestad played in last year's U.S. Open and Masters where he was the low amateur. Hagestad attended the University of Southern California but is now a financial analyst and feels confident about his decision never to turn professional. Hagestad has lots of superstitions, including that he will only wear white clothes in competition and carries three lucky coins in his pocket (maybe I should try this). Grimmer attends THE Ohio State University, where he has had lots of success. His sophomore year he was All-Big 10 Second Team and had the second lowest scoring average on the team at 72.50. Grimmer also appeared in the 2014 U.S. Open at Pinehurst when he was only 17. Grimmer gave a great interview on The TrapDraw podcast, which is worth a listen to get a better sense of the competitor. Barbaree is the third LSU Tiger in the field this week. Barbaree is obviously a terrific golfer but has also won the Shreveport Times Sportsperson of the Year and Independence Bowl Carl Milkovich Sportsperson of the Year. He made the 2017-18 Academic All-District Team. Barbaree is childhood friends with PGA Tour golfer Sam Burns, and they used to play together almost every day. Barbaree hopes to follow in Burns’ footsteps and turn professional sometime soon. Huang just graduated from Stanford University with a degree in mathematical and computational science, which seems hard enough without playing competitive golf. His senior year, Huang was chosen All-Pac-12 Second Team for the third time. He has a Stanford teammate, Jeff Swegle caddying for him this week. Huang also enjoys swimming, billiards, and chess, so basically he is super smart and super athletic and just has everything in the world going for him. Rasmussen is a 19-year-old at Brigham Young University. His freshman year, he was named 2017 WCC Freshman of the Year. After two seasons, Rasmussen has 15 career top-20 finishes including a win his freshman year at The Goodwin Tournament. Rasmussen played a practice round with another Utah native in the field, Tony Finau. You know friend of the pod/egg and fellow BYU Cougar Zac Blair will be rooting for him this week. Wiseman is one of the crazier stories in the field this week. One week before U.S. Open Sectional Qualifying, Wiseman didn't even make it to the match play portion of the Indiana State Am. But when it mattered for the US Open, Wiseman got the job done, shooting 138 at Springfield Country Club in Springfield, Ohio, to get into the US Open. Wiseman is a 21-year-old who attends Ball State University. Wiseman received MAC All-Tournament Team honors including a T-3rd at the MAC Championship.